Chelsea reluctant to sell left back to Liverpool as they are title rivals? 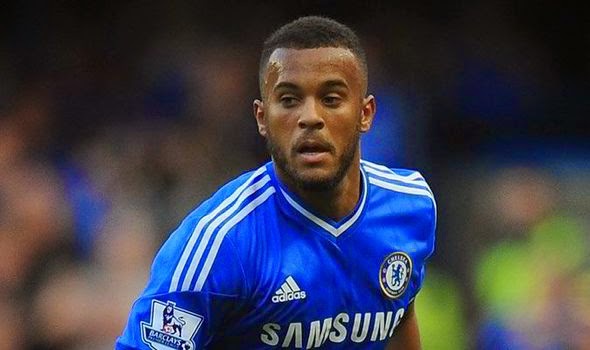 According to various reports, Chelsea are reluctant to sell Ryan Bertrand to Liverpool, despite the Anfield club offering to meet Chelsea's valuation of the player. A report in The Mirror states that Chelsea are reluctant to complete a deal with Liverpool because they see them as rivals to the Premier League title and Bertrand would bolster the options they would have available for the season. If these reports are true, I personally have to question why that is the case? At the end of the day, it's obvious that the club do not see Bertrand as a first team player so why not sell to Liverpool? How can you evaluate someone as being not good enough here and then refuse to do business with a rival? I have said it before on here about Bertrand so forgive me for repeating myself but I believe that Bertrand is just that little bit short of where we all expected him to be. That's why his chances here have been limited over the past season compared to the two previous seasons. Bertrand was a surprise inclusion in the starting eleven but played his part as with everyone else in winning the Champions League in Munich. Roberto Di Matteo showed tremendous faith in him by playing him and it looked as though during the following season that we would see Bertrand more often. Bertrand himself admitted that he had been given a target to start around twenty or so games in the season after Munich and with Di Matteo at the helm, followed by Rafa Benitez, Bertrand achieved exactly that. However, when Jose Mourinho was re-appointed that all changed and he disappeared for the first part of the season, then sent out on loan to Aston Villa for the remainder of the season in the January transfer window. The fact that Chelsea have now signed Filipe Luis and have Cesar Azpilicueta as an option at left back if needed, it looks as though Chelsea should cash in on Bertrand so just get the deal done and not worry about Liverpool. What do you people think about all this? You can understand if it was one of our regular first team players being linked with a title rival but some one who obviously isn't? I really don't see it being a problem.